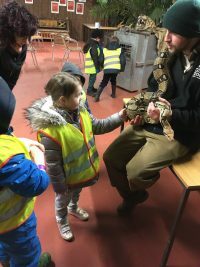 Pre-booked educational visits are free to Schools. Accompanying adults within the ratio of 1:6 children for Junior Schools and 1:10 for Senior Schools are also admitted free of charge. Additional accompanying adults are charged at a reduced “helpers” price of £7 per person. 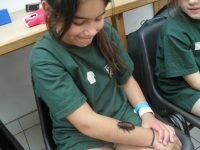 School visits also benefit from reduced price animal feedings. Pre-book your feeding wristbands for just £3 per person, including giraffe, lemur and penguin feeds, or individual feedings at just £1. Pre-booked meals for school visits are available at just £2.50 per child. Choose from our healthy, school-approved Tomato Pasta, Roast Dinner or Bagged Pack-up. Syllabus-complimenting learning materials, worksheets, trails and workshops are available to pre-book. Please contact our Education Officer on 01229 466086 to discuss subject matter. Email us on office@safarizoo.co.uk or call our office on 01229 466086 today to reserve your school visit. Our car park has designated coach parking, please let us know at time of booking your trip if you are bringing a coach and we will make sure a space is available for your arrival time. Can we bring a packup? We don’t usually allow picnics onsite, however, school groups are able to bring a pack-up to eat at a designated eating spot, as long as arranged in advance. We ask that the pack-ups are handed to our entrance team on arrival and we will deliver them to your picnic spot for lunchtime. 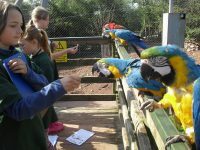 Children must be fully supervised during lunchtime and under no circumstances must any of the food be fed to our animals. 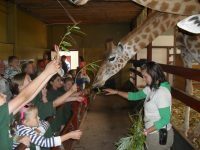 Is there a recommended age for educational visits? 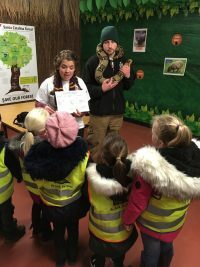 There is no recommended age for educational visits – the trips are open to all school aged groups, from nursery schools and preschool clubs right through to secondary schools and colleges. Do you have a Risk Assessment for our trip? To support you in writing your Risk Assessment we will share related health and safety documents and information as you book. 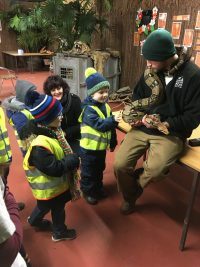 Some teachers choose to visit us in advance to carry our a practical risk assessment ahead of their visit, if you wish to do this please let us know when you book.